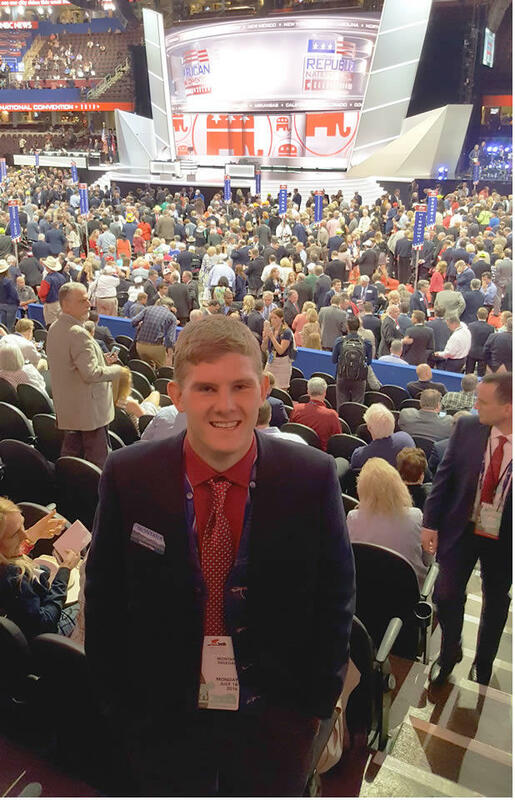 Harrison Fagg is a Montana delegate to the GOP convention from Billings. "I’m super excited to hear Congressman Zinke speak," Fagg said. "I think he’s a great guy, extremely smart. The theme of today is to Make America Safe Again, and I think no one knows how to do that like Congressman Zinke. So I’m really, really excited to get his take on making America a safer place, especially after what’s been happening these last few weeks, his role has really be amplified." Last week, Congressman Zinke resigned his position as a party delegate, telling the Billings Gazette that he disagrees with his party’s platform position that says federal public lands should be transferred to the states. Montana Democrats are hammering Republican candidates on public lands issues this campaign season. Billings delegate Fagg says he doesn’t think it’s a big deal that Zinke resigned his delegate position, and that he agrees with his congressman. "The state of Montana really can’t take care of all of the federal lands that are in the state right now, and I don’t want that to happen. So, I understand where the national party is coming from, but I have agree with Congressman Zinke. I would prefer that federal lands stay federal." Fagg says he has other disagreements with the party platform, particularly Presidential nominee Donald Trump’s stance on free trade, and that Trump wasn’t his first choice to run for the White House, but he says he agrees with him more than he disagrees. Fagg also says restoring America to its post-World War II status as a superpower is important to him. Governor Steve Bullock recently rallied his supporters in Missoula. His message was clear; there’s a lot at stake in his re-election campaign against Republican challenger Greg Gianforte.